Is Sarepta Therapeutics Inc (NASDAQ:SRPT) the right investment to pursue these days? The smart money is selling. The number of long hedge fund bets shrunk by 4 in recent months. Our calculations also showed that SRPT isn’t among the 30 most popular stocks among hedge funds. We’re going to take a look at the fresh hedge fund action encompassing Sarepta Therapeutics Inc (NASDAQ:SRPT). 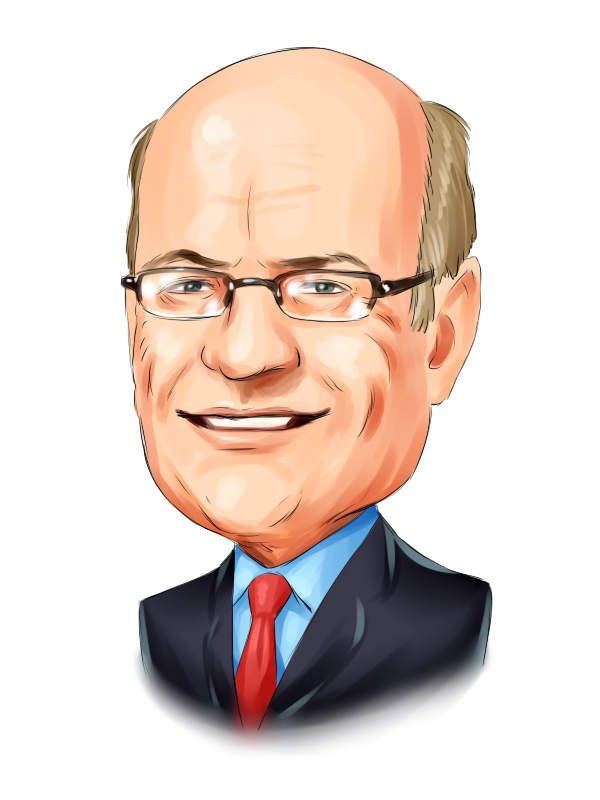 How are hedge funds trading Sarepta Therapeutics Inc (NASDAQ:SRPT)? At the end of the third quarter, a total of 43 of the hedge funds tracked by Insider Monkey were bullish on this stock, a change of -9% from the previous quarter. 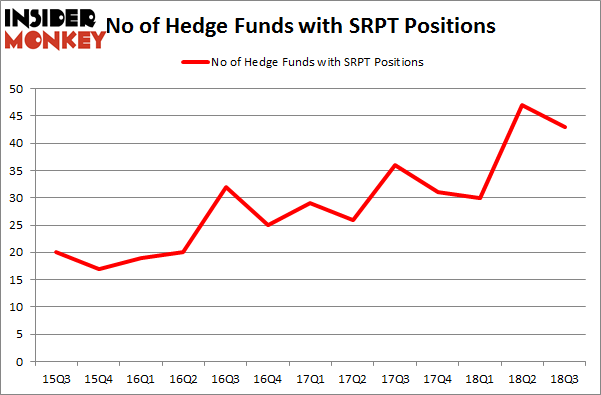 Below, you can check out the change in hedge fund sentiment towards SRPT over the last 13 quarters. So, let’s see which hedge funds were among the top holders of the stock and which hedge funds were making big moves. More specifically, Adage Capital Management was the largest shareholder of Sarepta Therapeutics Inc (NASDAQ:SRPT), with a stake worth $210 million reported as of the end of September. Trailing Adage Capital Management was venBio Select Advisor, which amassed a stake valued at $152.4 million. OrbiMed Advisors, Millennium Management, and Cadian Capital were also very fond of the stock, giving the stock large weights in their portfolios. Judging by the fact that Sarepta Therapeutics Inc (NASDAQ:SRPT) has witnessed falling interest from the aggregate hedge fund industry, we can see that there lies a certain “tier” of money managers who sold off their entire stakes in the third quarter. It’s worth mentioning that Zach Schreiber’s Point State Capital cut the largest investment of the “upper crust” of funds monitored by Insider Monkey, valued at an estimated $26.3 million in call options. Dmitry Balyasny’s fund, Balyasny Asset Management, also said goodbye to its call options, about $15 million worth. These transactions are interesting, as aggregate hedge fund interest fell by 4 funds in the third quarter. Let’s check out hedge fund activity in other stocks similar to Sarepta Therapeutics Inc (NASDAQ:SRPT). These stocks are Macy’s, Inc. (NYSE:M), Cemex SAB de CV (NYSE:CX), Arconic Inc. (NYSE:ARNC), and Steel Dynamics, Inc. (NASDAQ:STLD). All of these stocks’ market caps match SRPT’s market cap. As you can see these stocks had an average of 27.5 hedge funds with bullish positions and the average amount invested in these stocks was $1.15 billion. That figure was $1.21 billion in SRPT’s case. Arconic Inc. (NYSE:ARNC) is the most popular stock in this table. On the other hand Cemex SAB de CV (NYSE:CX) is the least popular one with only 13 bullish hedge fund positions. Compared to these stocks Sarepta Therapeutics Inc (NASDAQ:SRPT) is more popular among hedge funds. Considering that hedge funds are fond of this stock in relation to its market cap peers, it may be a good idea to analyze it in detail and potentially include it in your portfolio.